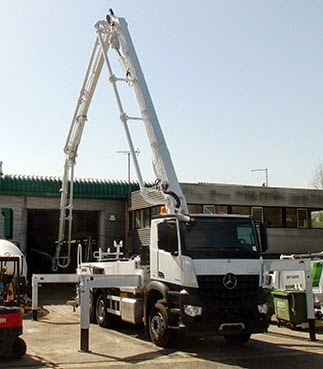 We recently wanted to show how manoeuvrable the boom on one of our S36X mobile concrete pumps is. 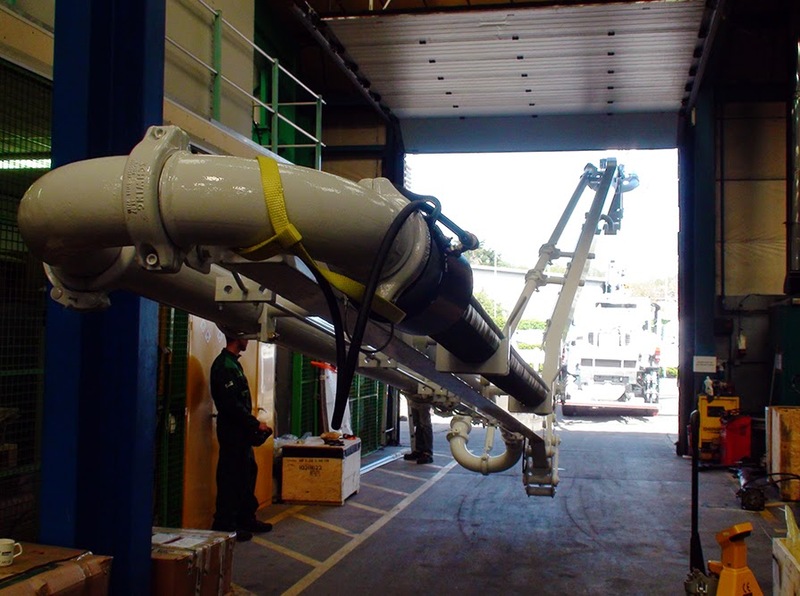 By way of demonstration we parked it near the entrance to our workshop and poked the boom in through the door to show how easily it can reach into an enclosed space. As can be seen above the large rotation angle of the tip section (238° since you ask) not only makes it easy to steer the boom into such a space but also increases its flexibility once in place. As you can also (just about) see, it was positioned using a radio remote (via a Vector control system) - so you can easily position yourself where you can best see what's going on. I know that I was impressed!